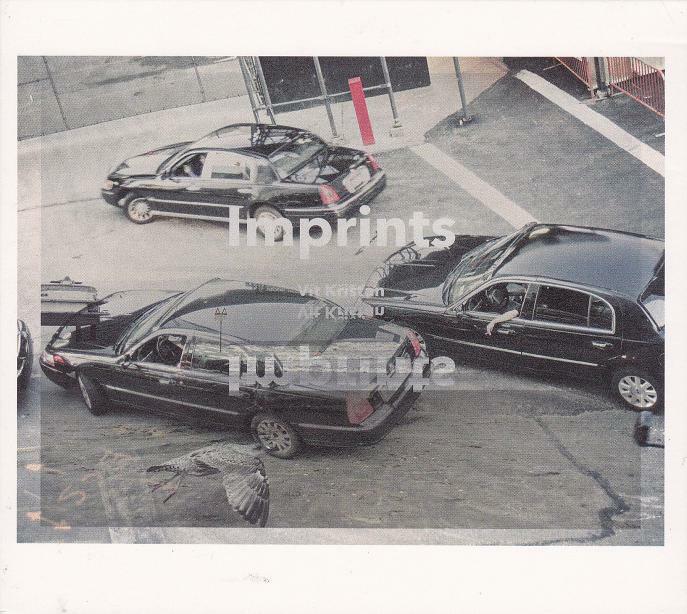 The good news first: the Polish-German relations won’t be negatively affected by this album. When I heard the title of the record for the first time, I was actually concerned that the whole thing would be a nightmare. After all, I suspect that still many Polish feel at least uneasy about us Germans. But this album might suggest that there is maybe less bias among the younger Polish population. And there’s something more German about the album, as it was recorded at the Butterama Recording Center in Berlin in November 2012. 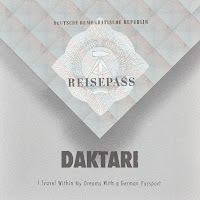 Shortly after that sessions Daktari had an interesting appearance at the Berlin Jazz Festival, where I saw them for the first time. What I musically noticed at the first glance were the two guitars. I usually don’t like the sound of jazz guitar in particular, so I was pretty skeptical at first with even two guitars here. But it works, and actually pretty good! The reason is probably that the guitars are in most jazz recordings mixed very soft and clear, but not here. Furthermore they do not try to get in the foreground too much, but rather create a whimsical background. 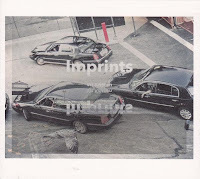 A jiggling frame - partially inclined or even strenuous, but enthralling. Along with the drums and the bass this creates the framework in which trumpet and saxophone can let off steam. Interestingly, it is not only the lead instruments that unfold freely, but the whole band is in a permanent joint improvisation, which can not be described as free jazz though. The interaction works on a level that you would not expect from musicians of this young age! Adding to that the record offers some very nice riffs that almost invite to hum, a thing that one rarely encounters in contemporary jazz. Some harmonies I would rather expect in pop or rock music (e.g. "Eine kleine Weltschmerz"). Particularly nice melodies you find in the first song (“Little Hollow”) and in the title track, which is found in two versions on the disk. I particularly like the first version of "I travel within my dreams with a German passport", since it provides something special: There are various electronic sounds included, that give the music a lot of momentum and dynamics. Just compare this version with the alternative take of this song or with the other songs on the record to see how well electronics can fit to jazz. Maybe this might be a way for Daktari, I can only recommend it to them, as they have a good attitude towards it. A bit surprising for me is the fact that the trumpet and the saxophone are on that version clear - you can say acoustically too. Certainly, they form an interesting counterpoint to the distorted instruments and the synthetic supplements, but I’d have liked some more experimentation here a lot. But I know as well as anyone else interested in that field of jazz, were the musicians try to integrate electronica into classic jazz, how hard that is and how narrow the ridge is where the musician (and producers) stroll along - they could have, just for "safety reasons", called this version the alternative take then. But also in this respect I find this album more than pleasant! Perhaps because the musicians are still very young and approach the subject impartially, you find no reservation. One senses that it can work out if young people blend the music of their time with jazz. Exactly this kind of albums make me feel confident that jazz has a future - a future where we will not only have to listen to the standards from the American Songbook over and over again or watch musicians in a wild cacophony (as much as I like that too though). This record is fun, it is exciting without being exhausting and it is catchy without becoming boring at any time. Definitely a recommendation! Cukunft is one of those young bands in Poland you should definitely know about. Created by charismatic guitarist Raphael Rogiński it is a serious project designed to remind the Polish audience of great legacy of Jewish music in Poland, now forgotten, as Jewish community is almost not existing. 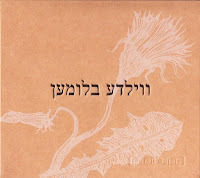 On their first disc "Lider fun Mordechaj Gebirtig" (2005) they took up the music of legendary bard from Cracow, on second double CD "Itstikeyt / Fargangenheit" (2010) the music was more varied but again was inspired mainly by pre-war Jewish city songs but also contained Rogiński's own compositions. 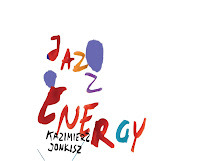 On their third and newest release we see a continuation of this trend as references to klezmer music are more and more general while Rogiński's compositions and play on guitar become the focus of the whole album. While listening to "Wilde Blumen" I couldn't help but recall the poem "Kwiaty Polskie" by Polish poet of Jewish origin Julian Tuwim. As in this one of the most famous works of our poetry in prewar period the flowers become symbols of beauty of almost transcendental dimensions. The same feeling of innocence associated with unworldliness pervades music of Cukunft on this release. But all these praises of mine shall not be limited to Rogiński only as the support he receives from his companions is impossible to overestimate. 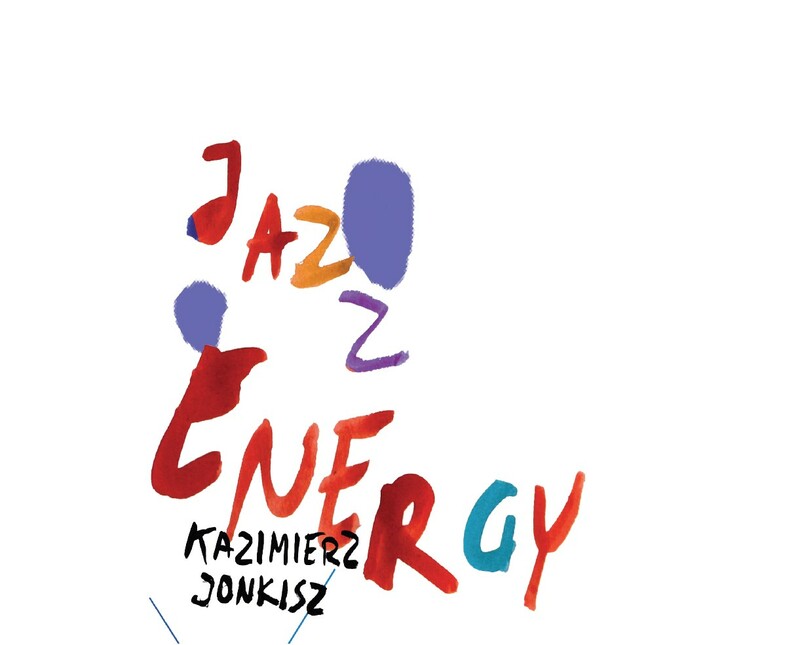 Paweł Szamburski on clarinet, Michał Górczyński on clarinet and saxophone, and Paweł Szpura on drums are all creme-de-creme of young generation of Polish musicians with excellent projects already done on their own. Making long story short I want to summarize this review by strongly recommending you rehearsal of this disc. 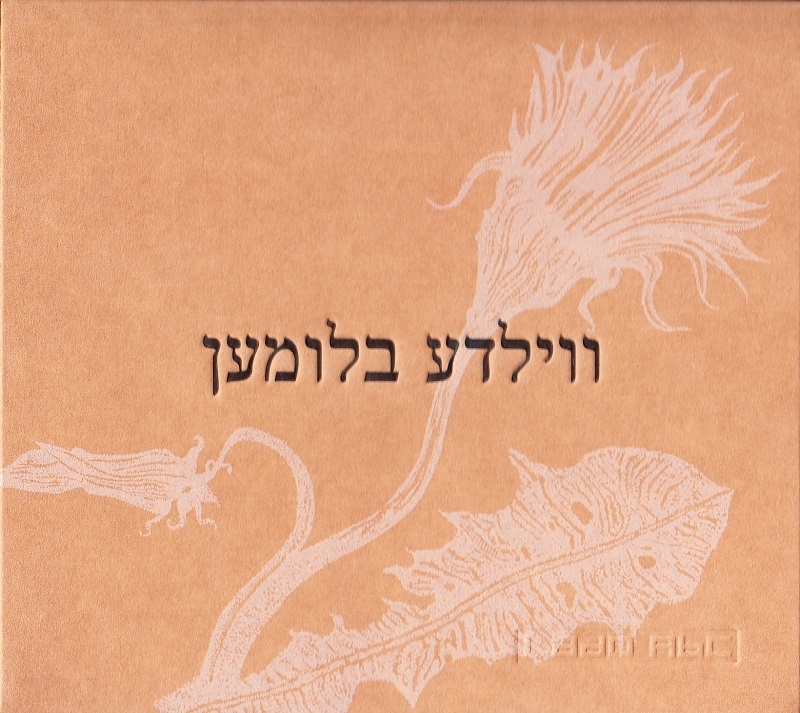 Of many Polish albums inspired by Jewish music those by Cukunft, along with discs recorded by Ircha Clarinet Quartet, trio Shofar or Bester Quartet, are clearly most original in conception, excellently performed and, very importantly, authentic of all. Piotr Mełech is a clarinetist, based in Poznań, which over last few years made a couple of interesting recordings making him one of most significant personages on Polish avantgarde and experimental music scene. My most favourite album of him is a duo with excellent Chicago cellist Fred Lonberg-Holm titled "Coarse Day" (2011). I know few albums as much in Polish music as worldwide who so successfully merge the innovation in music and sheer beauty of sound. Equally interesting was also earlier "Pink Ivory" (2009) by Enterout Trio closely followed by such releases as "Love Communication" (2011) by another band called Tfaruk and recent "Divided By 4" (2012) by a quartert with above mentioned Fred Lonberg-Holm but also pianist Witold Oleszak and drummer/percussionist Adam Gołębiewski. 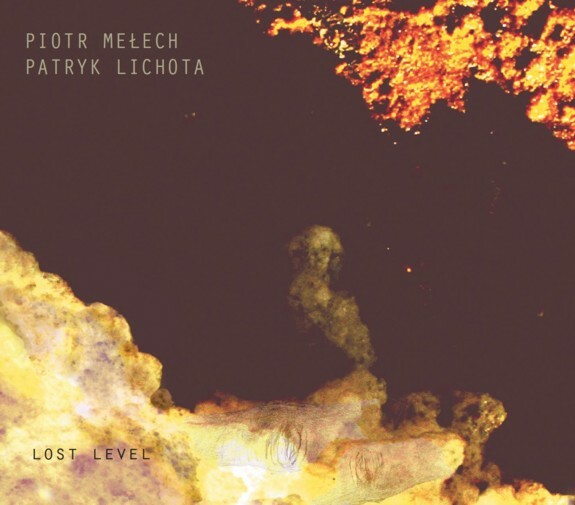 His newest album "Lost Level" (2013) is a logical continuation of a his previous recordings which means its aestetique is build upon what may be broadly designated as avantgarde and experimental music with strong improvisation component. The new element is key role which on this album is played by electronics operated by Patryk Lichota who is known primarily as a composer of illustrative music for theater and radio shows. The music itself is totally devoid of rhythm and melody being pure sonoristic experiment. Though interesting in concept I found it not convincing in actual rehearsal. In this kind of music the freshness and ability to surprise the listener are all its value is about. Unfortunately this is the weakest side of this album. Electronically generated waves of sound are flat, monotonous, repetitive and Mełech's clarinet is unable to save the day. Nowhere close to outstanding "Coarse Day" or actually any other disc by Mełech it remains an offer only for die-hard lovers of experimental music and his unquestionalble talent. Right from the beginning when young Czech pianist Vit Kristan started his studies at jazz faculty of Katowice Music Academy in Poland I was sure there is a bright future ahead of him. I expressed this premonition in many texts, among them in reviews of albums in which Vit took part as a sideman, namely two discs by Inner Quartet: "Inner Spaces" (2011), "Light Year" (2012) and an album "Blood Sings" (2013) recorded with Jaromir Honzak. His performance on these recordings justified the view that he and other talented Czech students of Katowice Academy such as Stepanka Balcarova or Lubos Soukup are not only great hopes of Czech but also of European music in general. In his style there may be heard clear affinities as much to Polish jazz with its emotionalism, sense of drama and blues characteristics as to Scandinavian music with its solemnity, depth and openness to non-jazz influences. But most of all it is language of his own and I see present in his music some of the features of the works of great Czech classical composers, specifically a joyfulness, humor and certain, so peculiar to this nation, down-to-earth romanticism. All in all such a extraordinary mixture combined with the stellar level of performance could produce nothing less but something special justifying all great hopes which I put in Kristan. The music on this album is coherent yet wonderfully varied and, most importantly, very personal. All tunes are originals composed by the leader who not only plays piano by actually also sings in duo with Polish vocalist Agnieszka Twardoch on a tune titled "Dreams". Apart from Vit Kristan the regular members of his trio are young drummer Roman Vicha and veteran double-bassist and the legend of Czech scene Jaromir Honzak. They are supported by the guests: a brilliant Slovak trumpeter Oskar Torok who is very well known to Polish audience as part of Polish band Pink Freud, Polish guitarist Marek Kądziela whose star is rising as evidenced by splendid "Meat Meet" by his group called Hunger Pangs and by above mentioned Agnieszka Twardoch whose performance on this album bodes well for the future. Speaking shortly, this is a terrific debut by Vit Kristan which shall gladden the hearts of all music lovers in Czech Republic and in Europe in general. While in Poland we may only hope that links created between Czech and Polish young musicians while studying together will continue to bear in future such fruits as they did on this outstanding release. SOFA 2013 Festival with strong jazz accents!!! The fifth annual Solidarity of Arts festival opens 17 August 2013 and looks no less packed with extraordinary art events than in previous years. The cultural institutions of the Pomorskie province, together with the City of Gdańsk, the Polish Film Institute, the European Solidarity Centre, the Polish Baltic Philharmonic and the Ministry of Culture and National Heritage are making sure that Gdańsk continues to be an exciting place to visit for arts enthusiasts from all over the world. Whether it is the first time you hear about us or not, we would like to invite you to have a quick look at our 30 Photo Moments gallery, where we showcase a selection of past Solidarity of Arts undertakings that we (as organizers) are most proud of. What about this year? We have a noteworthy concert at the Polish Baltic Philharmonic (Maxim Vengerov and the excitingly young yet already brilliant Menuhin Orchestra), a remarkable premiere at the Baltic Opera, an always emotional hand-printing ceremony in the Alley of the Stars, to go with Poland's biggest open-air jazz show of the season featuring the amazing Bobby McFerrin. In other words: several excellent reasons (more) to visit Gdańsk this summer! There is nothing quite like this competition anywhere in the world. The underlying concept stems from the assumption that the phenomenon which is jazz, perceived as a universal artistic language, is most assuredly one of the elements that unites European and world culture and tradition. The competition is addressed to young artists for whom jazz is a common value uniting sundry nations in the experience of music. 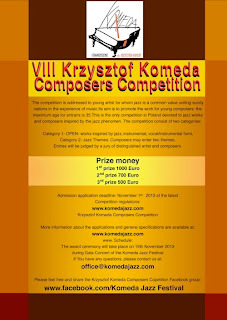 Its aim is to promote the work of young composers; the maximum age for entrants is 35. 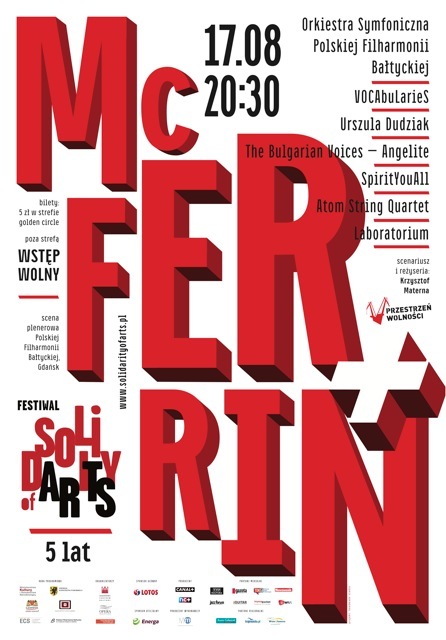 This is the only competition in Poland devoted to jazz works and composers inspired by the jazz phenomenon. Only compositions which have never been published or recorded and have never received a public performance, may be entered. Entries will be judged by a jury of distinguished artists and composers. The competition has aroused great interest not only Poland, but also well beyond her borders. Former winners include Thiago Trajano and Zezo Olimpio from Rio de Janeiro, Monika Allen from New York and Bartosz Smorągiewicz from Würzburg, Stepanka Balcarowa from Slovakia. 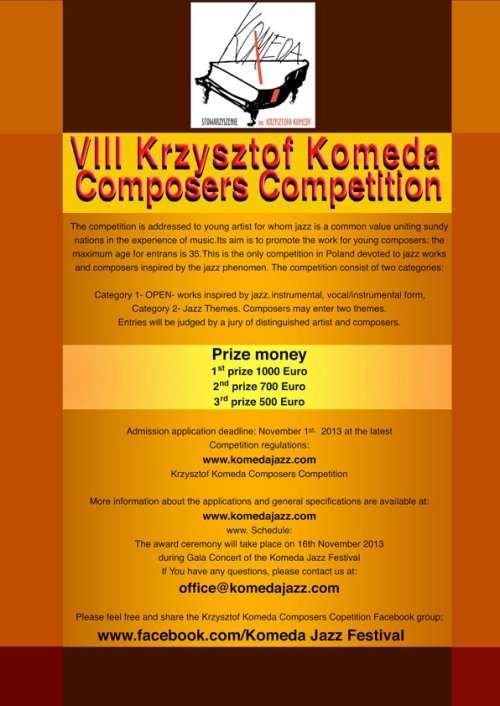 2013 sees the 8th edition of the Krzysztof Komeda Composers’ Competition. It will, as ever, be held in Poland.